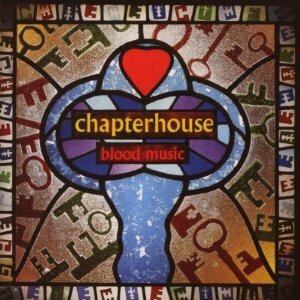 The Summer of ’87 first saw Andrew Sherriff (vocals/guitar), Stephen Patman (vocals/guitar), Simon Rowe (guitar), Jon Curtis (bass) and Ashley Bates (drums) come together as Chapterhouse. Based in Reading their first shows were all parochial affairs before they graduated to supporting Spacemen 3 at local hangout the ‘After Dark Club’. 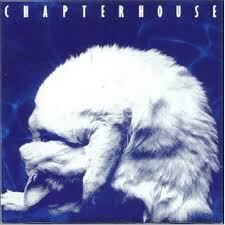 The evening proved to be a success and Chapterhouse were invited to go out on Spacemen 3’s national tour. With a wider profile now a work-in-progress the band moved to London (minus Jon Curtis who remained behind to study and was replaced by US born Russell Barrett) and signed to Dedicated Records. EP’s ‘Freefall’ and ‘Sunburst’ were released in late 1990, followed by ‘Pearl’ (featuring Rachel Goswell of Slowdive) which reached number 67 in the UK Singles Chart. 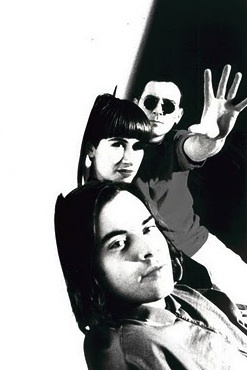 Debut album ‘Whirlpool’ was completed the same year and achieved the moderate success of number 23 in the long form chart before the band topped off the year by appearing 5th band on the line up for the main stage at their hometown Reading Festival, sandwiched between Nirvana and Dinosaur Jnr.. US and Japanese tours delayed the writing of follow up album ‘Blood Music’ but its eventual release in 1993 proved to be short lived. During a tour in support of the album the band were informed that a sampling lawsuit against the record had been filed and their label had withdrawn the album from general sale. 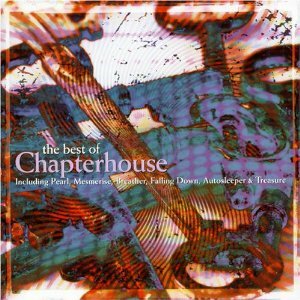 The resultant impass between band and label, the former wanting to revert to former musical styles, whilst the later refusing to release the band from their contract, meant that the constituent parts of Chapterhouse would have to go their separate ways if they wanted to continue to produce music. Andrew Sherriff formed Bio.com and Simon Rowe joined Mojave 3. Ashley Bates formed Cuba before joining Tunng. Fast forward 15 years and Chapterhouse re-emerged, playing ‘Love Forever’ on stage with Ulrich Schnauss at the 2008 Truck festival. Shows at the Luminaire in Kilburn and the ICA in The Mall followed in 2009 before a short Japanese and North American tour in 2010 (which included a brief UK stop at The Scala in Kings Cross) was cut short by the eruption of the icelandic volcano Grimsvoetn (the resultant ash cloud stranding Stephen Patman in Japan for a short while). The North American leg of the tour was rescheduled for September and October of 2010. A chapter house is a “building used for the meetings of canons of a cathedral or other religious community”.